A brilliantly thought out book that was a pleasure to listen to. 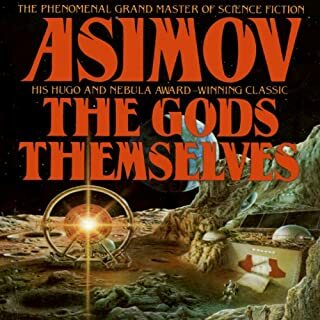 The story is ambitious in scale to say the least but Asimov is more than up to the task and creates a fascinating world in which to immerse the reader. The format is that of short stories encapsulated within the broader Galactic history. These stories drive the prophecy of Hari Sheldon with glacial inevitability - they are clever and the characters engaging and sharp in their depiction. I will definitely be finishing the trilogy. As always, Scott Brick does a great job of narrating this epic series. Foundation is clearly one of the best science fiction books ever written. 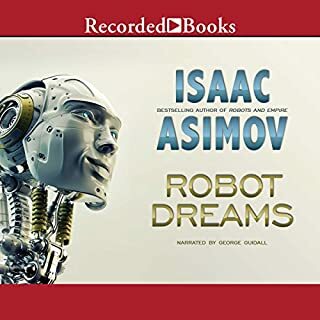 Any audiobook interpretation of a good story can be compromised both by choice of reader and the addition of background music or sound effects. 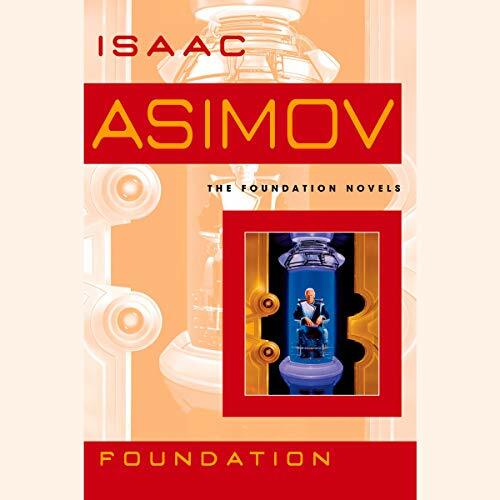 I have listened to both versions of Foundation offered by Audible narrated by Scott Brick and Jim Gallant. The Scott Brick interpretation completely outclasses the Jim Gallant version. To be fair, Scott Brick has the advantage of working with the unabridged book and he does a wonderful job - his narration is clear and his phrasing is good whereas Jim Gallant had to work with an abridged version padded by long periods of awful music. Anyone listening to this version of Asomov's greatest stories will, I am sure, not be disappointed. 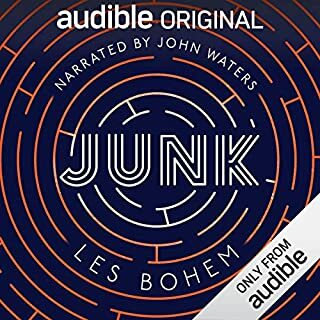 Where does Foundation rank among all the audiobooks you’ve listened to so far? 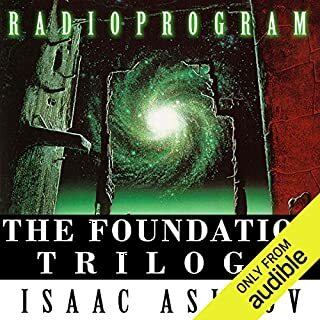 Foundation is one of the best audiobooks I have purchased, its right at the top of the pile. I have always been a fan of sci fi but I really enjoyed the low fantasy element. This led to a more plot and character driven story. I wasn't sure about Scott Brick to start with although after a while I found his performance to be pleasant and clear. I think its a lot of story to listen to in one go and found it better to break the story into parts to let me think about the plot. I love this book. I read it as a child. So every glitch in the story telling is so frustrating! Scott Brick is great. His performance is brilliant. The characterization is gently and well delivered. So what is the problem? Edit faults? Glitches? Splicing errors? I don't know what they are but they are there. The first is at 58 seconds. The second at 1:24. Third at 1:41 and I stopped counting at chapter 5, 45 seconds in. If you can not let that effect your enjoyment, this will be a great listen. ...this really got boring very fast. I know that Foundation appears on everyone's list of must-read sci-fi, and usually near the top, and I can sort of see why, in that it set the gold standard for so much grand-scale Space Opera in the way The Lord Of The Rings did for high fantasy. Honestly, it might as well be a collection of meeting minutes - every chapter consists solely of long conversations between barely-distinguished or developed characters in which the progress of the story since the last chapter is discussed in laboured exposition. The characters might raise their voices or storm out once in a while but that's the limit of the action. This isn't helped by Scott Brick's narration which does little to differentiate between the individual voices in the story, to the extent that it's sometimes difficult to work out who is speaking. I've heard Brick narrating other books, and doing it very well, but this one wasn't for him. Foundation is from a different age and it it feels it. It is no doubt a true classic and it is vasty influential, but I did find it difficult to like. One of the problems is that the story is all about the idea of a 1000 year plan to save civilisation, there are characters in the story, but they are difficult to tell apart. This is a basic problem with the story and nothing to do with the performance of the work, Scott Brick does a good job with material, but it is difficult to make such a work, interesting . The attitude towards technology and notably women also feels very dated. Having said all of this, I probably will try the next book in the series, since this was written as a single story, rather than as a series of linked short stories maybe that will work better? What was one of the most memorable moments of Foundation? Have you listened to any of Scott Brick’s other performances? How does this one compare? There is no book like this that I have ever read, utterly fascinating! The narrator for the most part was excellent although it was occasionally hard to make out which character was speaking as the voices he gave them were sometimes fairly similar. Would still recommend this version though! Brilliant - can't wait to get to vol 2. I couldn't help but notice several resonances to todays situation. I know it's supposed to be based on Gibbon's Decline & Fall and i spent a quite enjoyable time working out the connections! However just a few days listening to the news and the rhetoric from some of our world leaders (sic) convinced me that there is nothing new under the sun. Perhaps we are heading for a 'Seldon crisis'! great book and story. ends a bit abruptly. but I think that is a result of being half of a collection of existing storys. great narration. big fan of Scott Brick. Great narration of a classic Sci-Fi novel. 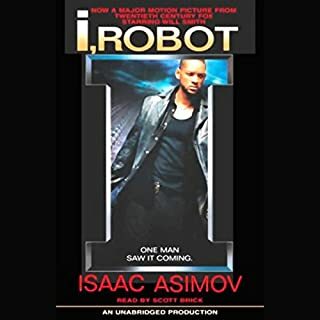 I read it at University, but I now feel it is dated and Asimov's intellectual hubris shines through. All his exposition is through dialogue (often unrealistic stilted dialogue) and all his main characters smug, over-confident and channeling the writer's own arrogance. I found it hard going from about a third of the way into the novel and only finished due to some obligation I felt to my youth. 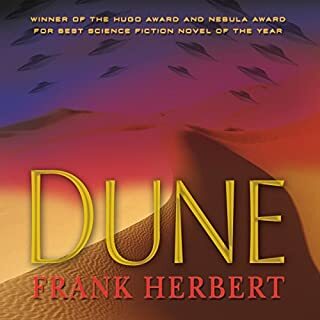 Compared to the political edifice of Frank Herbert's first 3 Dune novels this is lightweight for a Sci-Fi political novel. very good and exciting first half. very good and exciting first half. Too complex and boring second half. Performance was mostly monotonous and it was hard to distinguish different characters. I had to rewind whole chapters to figure out who is who. This is classic, old school sci fi. That said, whilst some parts are great, other sections just aren't very interesting. Overall the concept of psycho history is a winner and sets the stage for a great series that gets better. If you could sum up Foundation in three words, what would they be? I initally found this book hard to commit to, but once I got past the first couple of chapters it was great. The story is told mainly through conversations, which can be slightly confusing with one narrator, trying to work out who is speaking, but overall a great book. After reading Asimov's The Last Question. I was keen to get into some of his more long form stuff and had heard good things about the Foundation series. Was not disappointed. A sweeping, grand narrative. Incredibly rich in both the small, personal scale and the epic historical scale. Highly recommended. Can't wait to read book 2! Heard lots about this book, and wondered if I'd get into it, given its turnaround of characters and ages with only the hope of seeing what Seldon has to say at each crisis... and I was pleasantly surprised! Can see why it's a classic. This is a fantastic story, written from the context of a future thinker over 50 years ago and looking thousands of years in the future. The concepts and context is still relevant and I can see parts of this view to society showing up even still today. It's a shame this book is only fiction, or is it? Either way it's a fantastic read for any SciFi buffs.